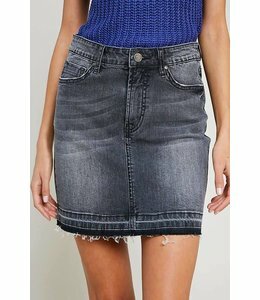 A button-up skirt with an asymmetrical, multicolored, striped design. 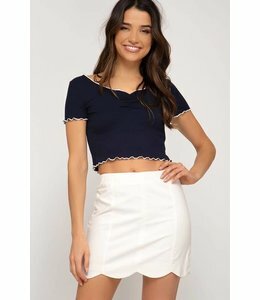 A white mini skirt with a scalloped hemline and zipper closure in the back. 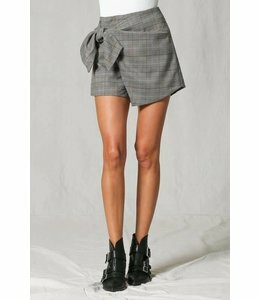 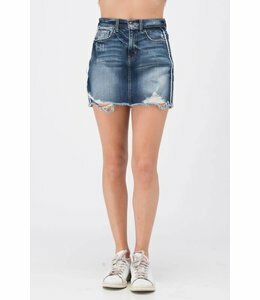 A short dark-wash denim skirt with a raw hemline and the classic set of 5 pockets.